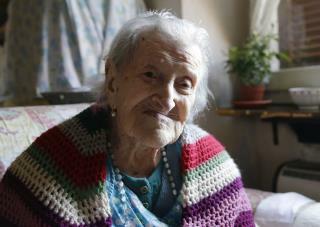 (Newser) – Emma Morano lived across three centuries, two world wars, and more than 90 Italian governments. And on Saturday, friends and family of Morano, believed to be the oldest woman alive, reported her death at home in Italy, Reuters reports. She was 117. According to the BBC, Morano was born on Nov. 29, 1899 and was believed to be the only person born in the 19th century still alive. A long life celebrated. RIP Emma.